The European Union is Israel’s largest trading partner, and often portrays itself as a dedicated if sometimes critical friend of the Jewish state. But as its recent decision to label products manufactured in Israeli settlements shows, there are forces seeking to drive a wedge between the EU and Israel. There are two groups involved in this campaign. One is a highly visible outside lobby of citizen advocates—the dozens of NGOs led by the Boycott Divestment and Sanctions (BDS) movement. BDS proponents demand a complete “freeze” of the EU-Israel Association Agreement signed in 2000, as well as a boycott of Israeli banks and corporations. They disparage small steps like labels on products and produce from the West Bank. The EU is against the so-called “BDS” and we are against any attempts to isolate Israel. … Relations with Israel are among the closest … the EU has with any non-member state. Israel’s trade with the EU … has increased from 20 to 30 billion euros per year over the last 10 years. …We have signed agreements on liberalizing trade in agricultural and fishery products, on research cooperation, on air traffic, [and on] pharmaceutical products. … Europe is not boycotting Israel. But there is another group working in parallel with the BDS movement. It is a far more effective lobby that works quietly behind the scenes in order to accomplish the same goals. This group is embedded in the complex bureaucracy of the EU and its member states—the officials known colloquially as the “Eurocrats.” It focuses on incremental measures rather than advocating a complete boycott of Israel, and it has proven far more successful than its radical counterpart. 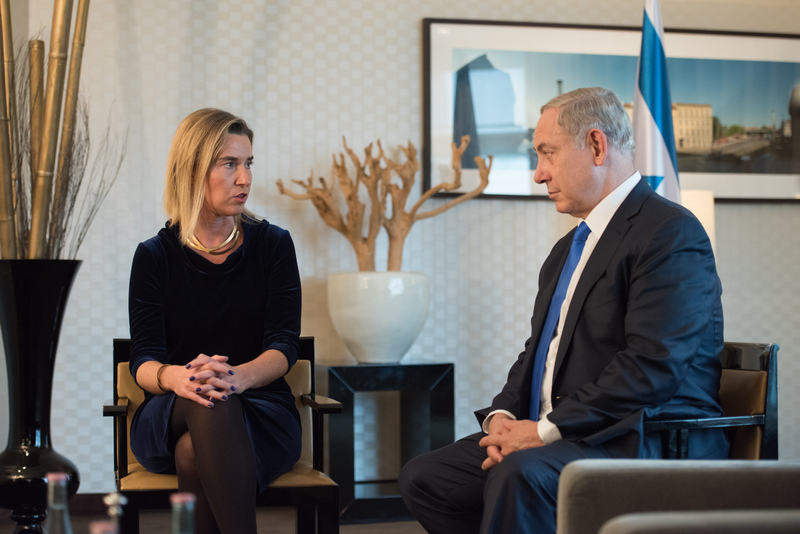 Israel’s detractors inside European ministries see Israel’s relationship with the European Union as an opportunity to apply pressure on the Jewish state, rather than a desirable goal in itself. In agencies like the European External Action Service (EEAS—the EU’s foreign ministry) and the European Commission (its executive branch), the officials charged with organizing policy options for the European Council—the heads of government of EU member states—are intensely interested in the Palestinian perspective and highly critical of Israeli policies. The beliefs of this camp are reinforced by a steady stream of one-sided reports portraying Israel in a negative light. An information pipeline from the Mideast to Brussels is fed by pro-Palestinian advocacy groups operating in the West Bank and Gaza, as well as far-Left Israeli groups allied with them. Many of these NGOs are funded by European governments and foundations, and they work in close consultation with official European envoys in Ramallah and Jerusalem. These envoys integrate the NGOs’ allegations into their own reports and forward them to Brussels and their own capitals. In many cases, the government of Israel does not have the opportunity to vet these one-sided reports. This camp is led by officials like Christian Berger, the Director for North Africa, Middle East, Arabian Peninsula, Iran, and Iraq in the EEAS. He is also the top Mideast aide to Mogherini, the EU’s foreign affairs chief. His views are supported by like-minded bureaucrats in European foreign ministries. Another source for such reports is the European Heads of Mission in Jerusalem and Ramallah, nicknamed HoMs. It annually produces a highly critical end-of-year report on Israeli activities in East Jerusalem that it sends directly to the European Union’s Political and Security Committee, which then formulates policy. Typically, these HoMs reports include recommendations for sanctions and other forms of political and economic pressure on Israel. Though meant to be confidential, these reports are routinely leaked to Haaretz, a sympathetic Left-wing Israeli newspaper. Individual European ambassadors also send detailed reports to their foreign ministries and offices in Brussels. These groups are joined by some former EU and European government officials whose views are given great weight by the Eurocrats. For example, 19 prominent ex-officials, assembled as the European Eminent Persons Group, recently wrote to senior EU officials urging a variety of ways to pressure Israel and support the Palestinians. The group included such luminaries as Javier Solana, the former EU High Representative for Common Foreign and Security Policy; Miguel Moratinos, the former EU Special Representative for the Middle East Peace Process; and Ruprecht Polenz, former Chairman of the Foreign Affairs Committee of the German Bundestag and ex-Secretary General of Chancellor Merkel’s political party, the CDU. There is also an outside think tank allied to Israel’s critics inside the EU bureaucracy—the European Council for Foreign Relations. It is strongly supported by top J Street donor George Soros. In July 2015, it published a report proposing an array of severe sanctions against Israel, and is marketing that report aggressively. In October 2014, new rules came into effect that increased the Eurocrats’ power to influence Israel’s ties with the EU. When an action has been proposed to the European Council by the European Commission, the Council’s 28 member states no longer need to support it unanimously. Article 228A of the new Treaty of Lisbon states that a decision “to interrupt or to reduce, in part or completely, economic relations with one or more third countries” can be approved by a “Qualified Majority.” This means that a policy can be adopted if it has the support of only 55 percent of member states, representing at least 65 percent of EU citizens. If a decision is approved by a Qualified Majority, no single member state can veto the Commission’s recommended policy. This greatly improves the Eurocrats’ chances of enacting anti-Israel policies. The Eurocrats advocating pressure on Israel have already scored some major achievements. One is the decision taken over the past five years to condition Israel’s access to European markets on its policies toward the Palestinians. In previous years, this linkage was not as strong. Beginning in 1995, the European Union signed more than 20 agreements with the State of Israel without demanding concessions to the Palestinians. This changed when the EU reviewed its European Neighborhood Policy—the framework for relations with Israel—in 2010-11. The EU introduced a new policy known as “more-for-more and less-for-less.” Under this policy, the EU will develop stronger partnerships with and offer greater incentives to countries that make more progress on human rights issues. Applied to Israel, this has been taken to mean that any future upgrades will be considered in light of Israeli policy toward the Palestinians and progress toward a two-state solution. But the 2012 decision also declared that any upgrade in relations with Israel must be taken “in the context of … the resolution of the Israel-Palestinian conflict through the implementation of the two-state solution [and] the promotion of peace.” In effect, the Council decided on a policy of political linkage: Concessions to the Palestinians will be rewarded by closer economic ties, but upgrades will not be forthcoming if Israel fails to make the concessions Europe deems necessary. 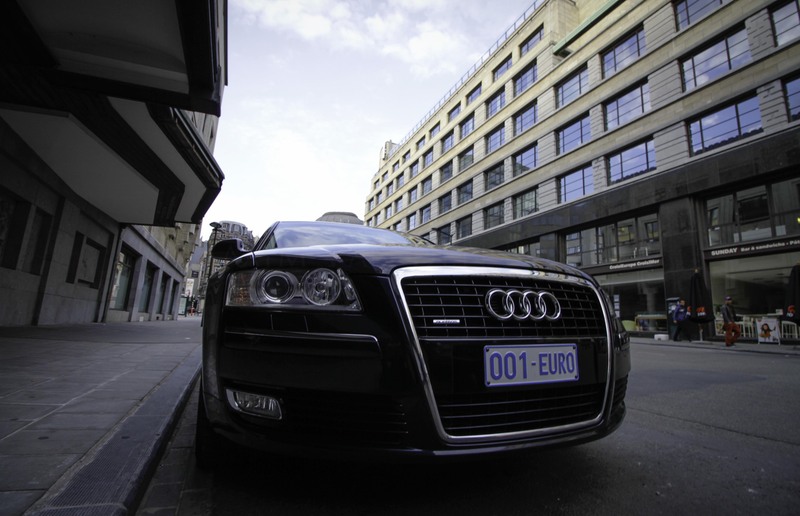 In December 2013, the Council made its “more-for-more” offer explicit. The EU offered Israel an “unprecedented package of European political, economic, and security support” comprising a “Special Privileged Partnership.” Israel would receive “increased access to the European markets, closer cultural and scientific links, facilitation of trade and investments, as well as promotion of business to business relations.” The package would also include “enhanced political dialogue and security cooperation.” But all of this would be in exchange for Israeli concessions to Palestinian demands leading to a two-state solution. But European detractors dismiss all of this as Israeli “intransigence.” As a result, many now want to go beyond the “more-for-more” policy in favor of its opposite—“less-for-less.” As a result, the policies they advocate are more about sticks than carrots. In February 2010, for example, the European Court of Justice ruled that the “territorial scope” of all Israel-EU agreements is limited by Europe’s Association Agreement with the PLO, which gives it—not Israel—legal authority over the West Bank and Gaza. In 2012, the European Council followed suit, declaring that agreements with Israel must “unequivocally and explicitly indicate their inapplicability to the territories occupied by Israel in 1967.” In effect, the EU has declared that any Jewish authority or presence in the West Bank is regarded as unlawful and forbidden. The recent decision on labeling settlement products is an application of this European “territorial scope” principle. A wider boycott of Israeli companies operating in Jerusalem or the West Bank could have a significant effect on Israel’s entire relationship with the EU. All of Israel’s major banks engage in at least some business activity outside the pre-1967 borders, such as issuing mortgages in eastern Jerusalem, where nearly half the city’s Jewish population lives. Eastern Jerusalem communities are part of sovereign Israel under Israeli law, but are treated as “illegal settlements” under the EU directive. Along with Israeli banks, many of Israel’s largest and most innovative companies and nonprofits have at least some incidental or secondary involvement with economic activity that crosses over the pre-1967 lines. Stigmatizing Israeli entities in this way can also have a wider chilling effect. A European company or bank may reconsider getting involved with its Israeli counterpart if, by doing so, it could run afoul of the EU bureaucracy. Organizations promoting boycotts of Israel may try to embarrass any European firm that has contact with Israeli partners. The “settlements” taboo could become a scarlet letter that stains almost any Israeli entity that operates in Jerusalem or even the settlement blocs that are certain to remain part of Israel under any peace treaty. Out of an abundance of caution, European companies may steer clear of Israeli partners altogether in order to avoid any possible taint. Up to now, the EU has sought to deny that this will be the case. While it now labels settlement products, European officials deny that this constitutes a boycott. “Europe is not boycotting settlements,” EU Ambassador to Israel Lars Faaborg-Andersen said in November. “Products from settlements will continue to enter the EU market,” though without duty-free preferential treatment. “Ever since the UK introduced guidelines on origin labeling of settlement products back in 2009, trade between Israel and the UK has doubled,” he added. Time will tell whether such reassuring statements hold true. Momentum is building for further EU measures against Israel. In September 2014, the decision-making Political and Security Committee of the European Council tasked the European Commission with recommending additional means of pressuring Israel to change its policies toward the Palestinians. In November 2014, the Commission responded with a confidential “Non-Paper.” Its recommendations were immediately leaked and published by Haaretz. The Commission recommended stronger adherence to the “more-for-more, less-for-less” policy in “future development of EU-Israeli relations [in] possible or new agreements,” as well as “the overall relationship with Israel.” It supported “reassessing EU funding or capacity-building activities indirectly helping to perpetuate the status quo of occupation.” This language could be taken as inviting action against major Israeli banks. 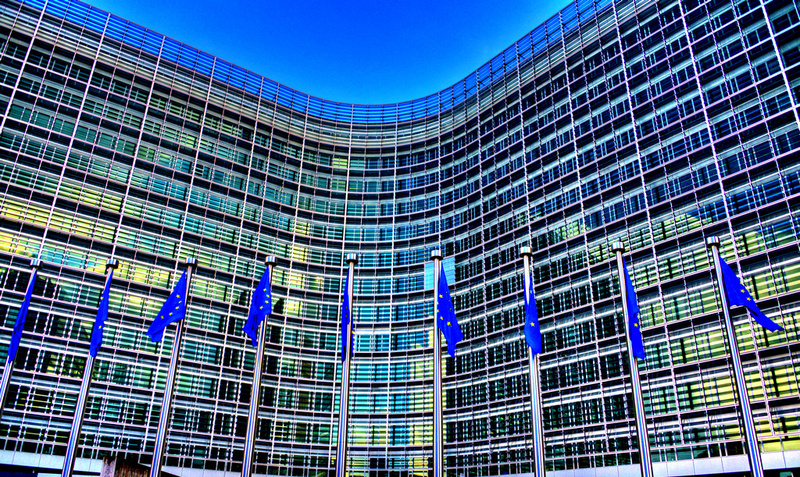 The Commission further recommended strengthening the principle of “territorial scope,” including a territorial clause in all EU/member states agreements. It called for “actions to strengthen advice to EU citizens … on settlements and settlement economic activities,” as well as actions to prevent European companies from operating beyond the pre-1967 lines, a process that could encourage private sector boycotts. It also recommended boycotting Israeli public figures who reject the two-state solution. On the diplomatic front, the Commission called for “actions reinforcing … Palestinian ‘statehood,’” including “denomination and protocol issues; support, or non-opposition, to applications to international organizations; and recognition.” Toward Israel, the Commission called for tougher measures, such as summoning Israeli officials, recalling ambassadors, and hardening EU policy at the United Nations Human Rights Council. Issued in the name of the European Commission, and in response to a request from the policy-making Political and Security Committee of the Council, the Non-Paper is a major achievement for Israel’s detractors in the EU bureaucracy. But they have proposed further measures. These include invalidating Israeli legal documents outside the pre-1967 lines, which would affect almost half the Jewish homeowners in Jerusalem; withdrawing the charitable status of pro-Israel groups that “support the occupation”; withdrawing pension and other EU benefits from dual citizens residing in the West Bank; and ending cooperation with Israeli offices headquartered outside the pre-1967 lines, such as the Police, Department of Justice, and Ministry of Construction. On the diplomatic front, many outside and inside the EU system want Europe to promote a United Nations Security Council resolution setting parameters for a two-state solution based largely on Palestinian demands, a specific date for mandatory Israeli withdrawal from the West Bank, a new Security Council resolution against Israeli settlements, and support for Palestinian actions against Israel in United Nations agencies like the International Criminal Court. What does all of this amount to? First, it is important say that there is no reason for panic. Israel’s relations with the EU are not doomed. In fact, they are growing and expanding. Israel has many friends in European capitals, as well as a dynamic economy that makes it an effective competitor in European markets. But opposition to Israel is also growing, and it would be a mistake to underestimate the magnitude of the threat. What is needed is a “line of defense” strong enough to challenge Israel’s enemies in the EU effectively. In particular, a more sustained and systematic effort to recruit allies inside the EEAS bureaus, the Commission, and the leading national ministries is needed. 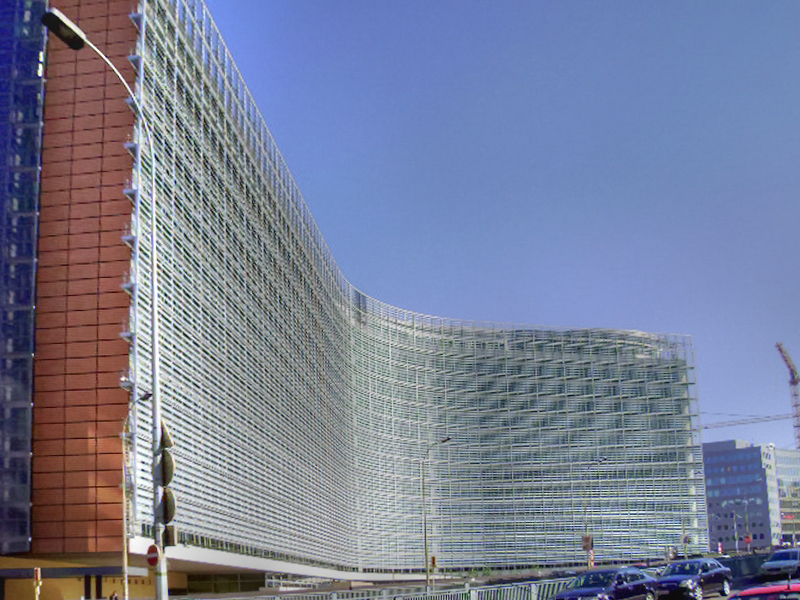 While there are many opponents of Israel in Brussels, these bureaucracies are not monolithic. Nor are they completely closed to outside influence. 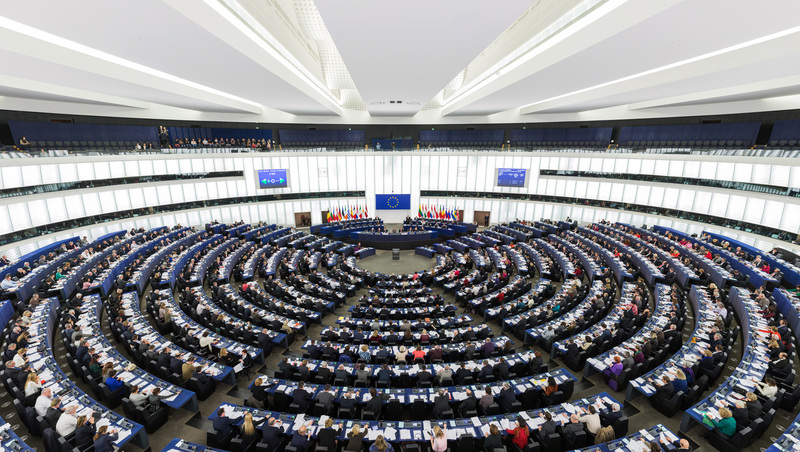 Pro-Israel advocacy groups have tended to concentrate on the European Parliament because it is an open forum. But it is the harder-to-reach executive branch in which most problems and opportunities begin, and where allies must be found. Having friends on the inside will increase the chances of identifying threats to Israel early enough to stop them. Intervention in the early stages of the process is far more effective than trying to stop such threats once they have gained momentum. Worst of all is trying to reverse a decision once it has passed through the many arcane processes and byzantine bureaucracies of the European Union. Friends of Israel should also seek to avoid strident rhetoric. It is counterproductive in the European environment, where reasoned dialogue is the norm. The most effective proponents of the pro-Israel perspective in Brussels are those who can interface with experienced officials as peers. Europe is not lost, but neither is it won. A serious pro-Israel effort within the EU can make a difference, and that effort should begin now.